The small Neolithic tomb on a ridge overlooking the River Mattock. Viewed from the style giving access from the road. 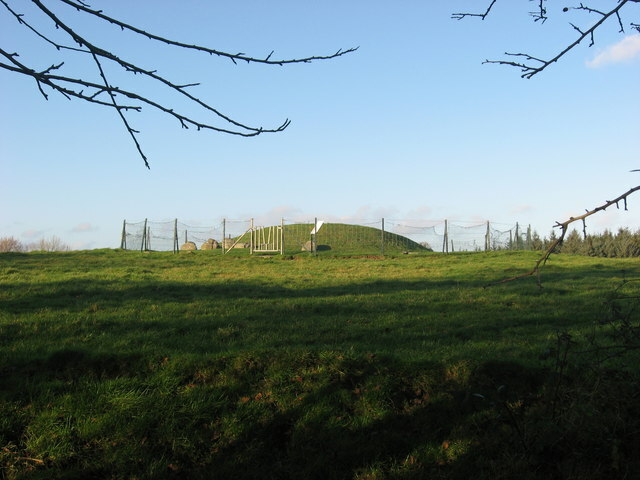 Excavated by Eogan in the early 1960s and led to 40 years of excavation on the great tomb at Knowth 2 miles to the south-west.